Ulaanbaatar – Today Rivers without Boundaries Mongolia addressed domestic and international media with the following message. In mid-February, community representatives from Russia and Mongolia – along with several of environmental and human rights NGOs – submitted a request for an investigation to the World Bank’s independent accountability arm, the Inspection Panel. The complainants center on the Mongolian Mining Infrastructure Investment Support Project (MINIS). Specifically, they raise concerns regarding the Shuren Hydropower Plant and the Orkhon-Gobi Water Diversion. For example, the WB completely disregards its own operational policy OP 4.04 – Natural Habitats, when selecting the dam projects on unique rivers with globally endangered species as target for its technical assistance. While the Bank is currently only funding the feasibility studies and the environmental and social impact assessments, the complainants and their supporting NGOs (Greenpeace Russia, Rivers Without Boundaries, and academics in Russia and Mongolia) are concerned that these will serve as a rubber-stamp for the Mongolian government to begin construction of these widely unpopular projects. "These plans are extremely dangerous for the ecosystem of the Selenge, the largest river in Mongolia and Buryatia, but also for Lake Baikal, a UNESCO World Heritage site. The Selenge is Lake Baikal’s main tributary. Inevitably, the lake’s fauna will be badly affected, the hydrological regime and the climate will change, and regional seismicity may rise. The Bank neglects its own policy on the access to information, project implementation controls and on the environmental and social safeguards. The UNESCO World Heritage Committee has already twice appealed to Mongolia emphasizing that under the Convention, the government should not undertake measures which might damage directly or indirectly the national heritage situated on the territory of other states parties to the Convention,” stated Greenpeace Russia. The Shuren dam will be located on the Selenge River, which is the main source of fresh water into Russia’s Lake Baikal, a UNESCO World Heritage Site and a Ramsar wetland of international importance "Selenga River Delta". Conversely, the Orkhon River diversion will pipe water through a giant pipeline from north to south to supply the dry mines in the Southern Gobi region. The pipeline is slated to be one of the largest in the world and most hydrologists fear that the Orkhon River (tributary to the Selenge) would not survive such a diversion. Any activities on these rivers will have adverse impacts on the biodiversity of Selenge River basin, the indigenous Buryat communities that live near Lake Baikal, as well as life sustaining traditional natural resources of nomadic herders in five provinces of Mongolia. “If built, dams may block migration and degrade habitats for endangered fish species- Siberian Baikal Sturgeon, Taimen, Lenok, Baikal Cisco Omul, Baikal White Grayling- most of them listed in Mongolia and IUCN Red List. 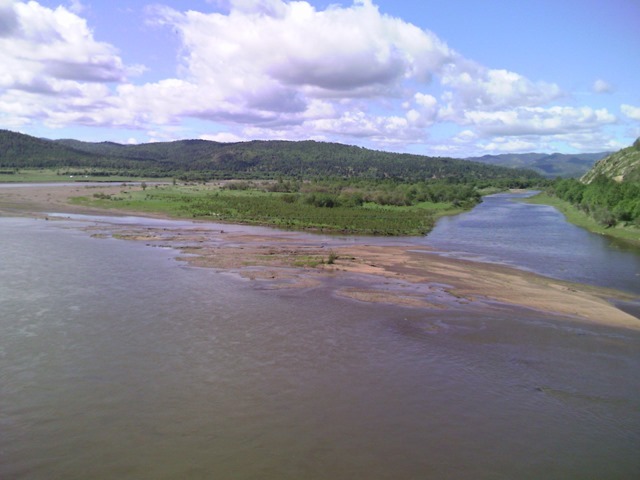 Due to changes in the river’s ecosystem, the Selenge River faces the risks of biodiversity loss and degradation. Stagnant reservoirs will fill quickly with sediments and organic matter decomposing at reservoir bottom and releasing greenhouse gas, while heavy metals will accumulate in reservoir due to mining upstream. 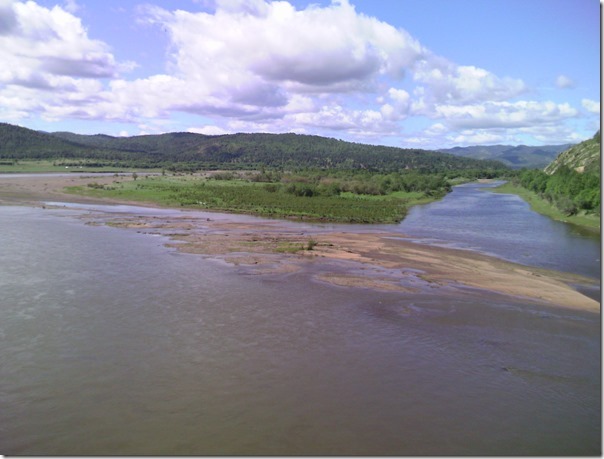 Dams will also weaken the function of Selenge river delta as the Lake Baikal’s protection buffer against disturbances from upstream and as a nursery for endangered and commercially valuable fish and wetland birds. The World Bank and the Mongolian government disregard the magnitude of these risks,” explained Dr. Eugene Simonov of Rivers without Boundaries. “The Orkhon River diversion project plans to deliver water to Tavan Tolgoi, Oyu Tolgoi mines as well as all other users via a 1000 km long pipeline. The construction process will bring huge destruction and in addition the water is going to be prohibitively expensive for communities to water their animals or crops. The project could also spark water wars in favor of the mining companies. A TT representative stated that they are watching the project development to see whether it will plan enough water for them or will disburse it for social and agricultural uses before getting to mines in the south. Given the need to recover invested funds, it is highly unlikely that poor herders and growers in the five provinces will win in this competition for access to water,” concluded Sukhgerel Dugersuren of OT Watch.